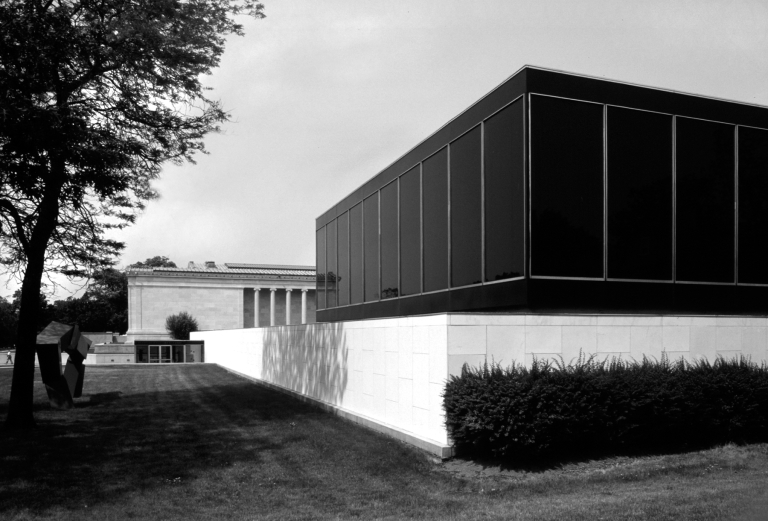 This past week the Albright Knox Art Gallery released new renderings of its proposed expansion plan, including a "roof sculpture" for the open courtyard of Gordon Bunshaft's addition. 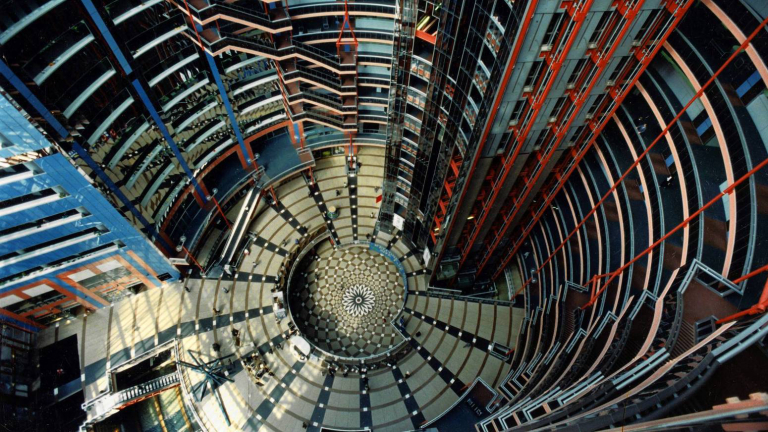 Efforts to save Helmut Jahn's postmodern Thompson Center, dubbed "The Starship" for its futuristic appearance, have intensified amidst Governor Pritzker's announcement that the state will put the building up for sale. 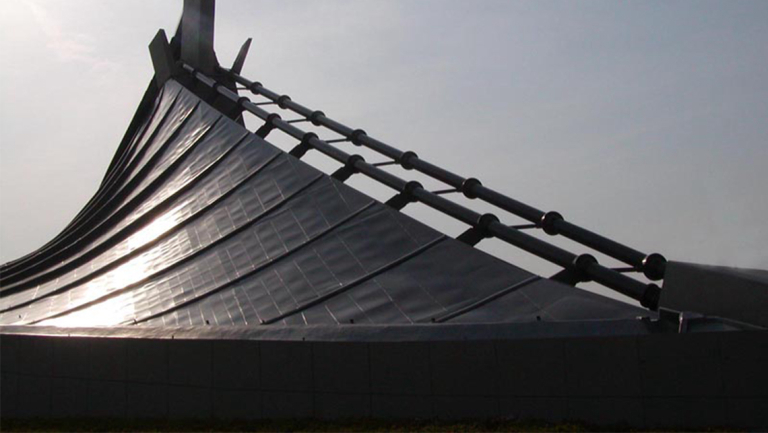 A group of ten high profile organizations have signed on to a letter urging the State of Illinois to support landmark status and #SaveOurStarship. 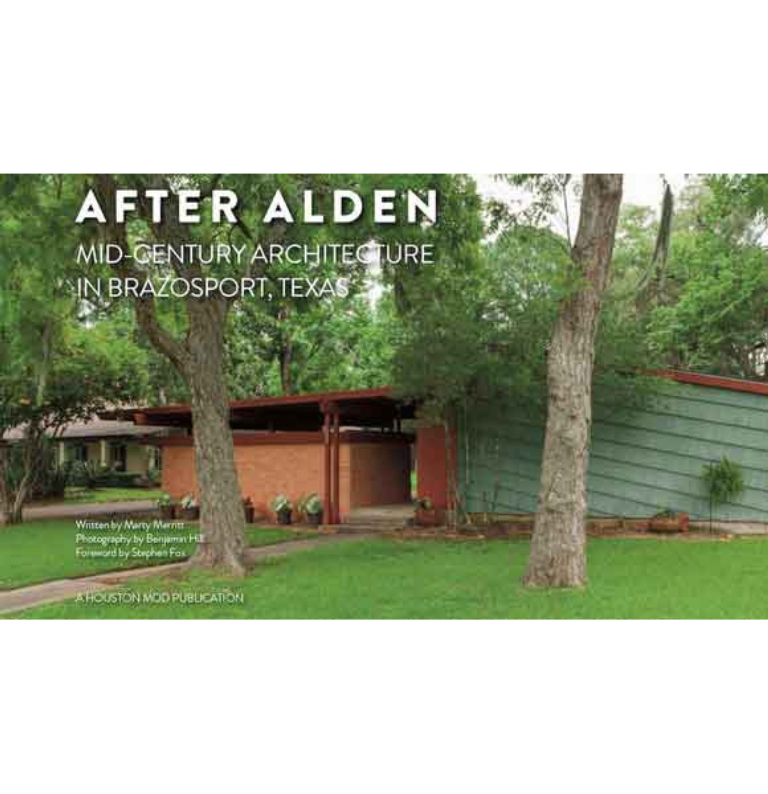 Houston Mod, a Docomomo US friend organization, announced the launch of its latest book, After Alden: Mid-Century Architecture in Brazosport, Texas by Marty Merritt. 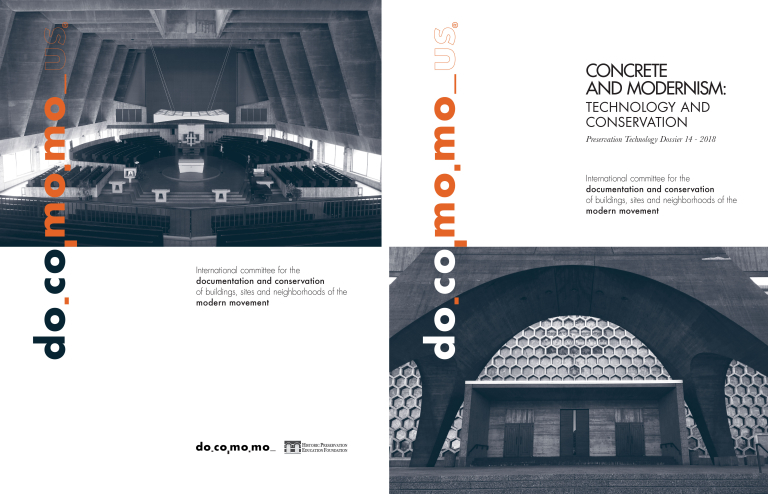 Docomomo International is now accepting abstracts for the 16th International Docomomo Conference, to be held in Tokyo in 2020. 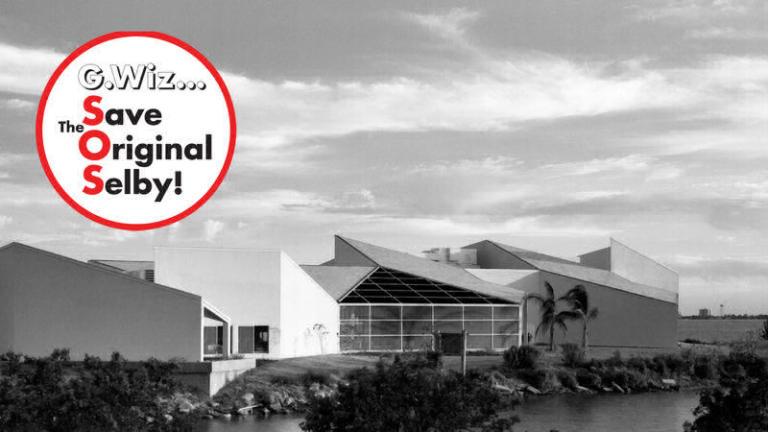 Please submit abstracts no later than August 30th, 2019 (12 pm GMT) for one of the 11 identified thematic sessions. 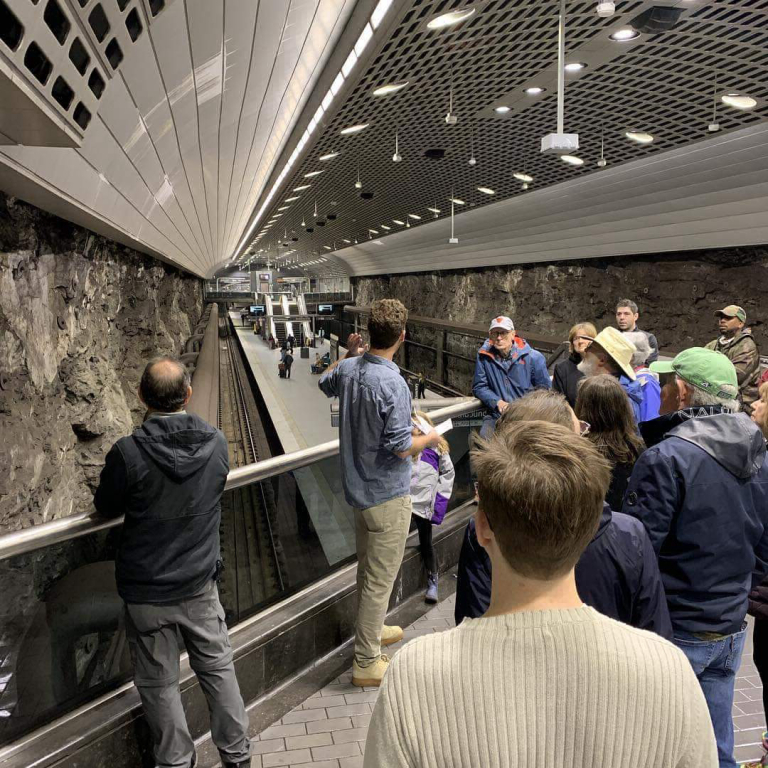 Earlier this month, the Docomomo US/Georgia chapter showcased three MARTA (Metropolitan Atlanta Rapid Transit Authority) train stations constructed between 1975 and 1982 on its annual "MARTA-tectute" tour. 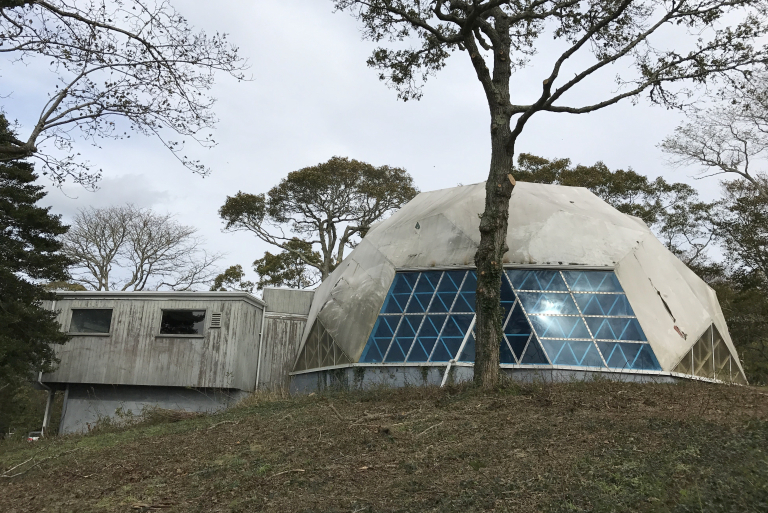 Although long overlooked, in recent years threats to sites of Modern heritage have been gaining a higher profile. 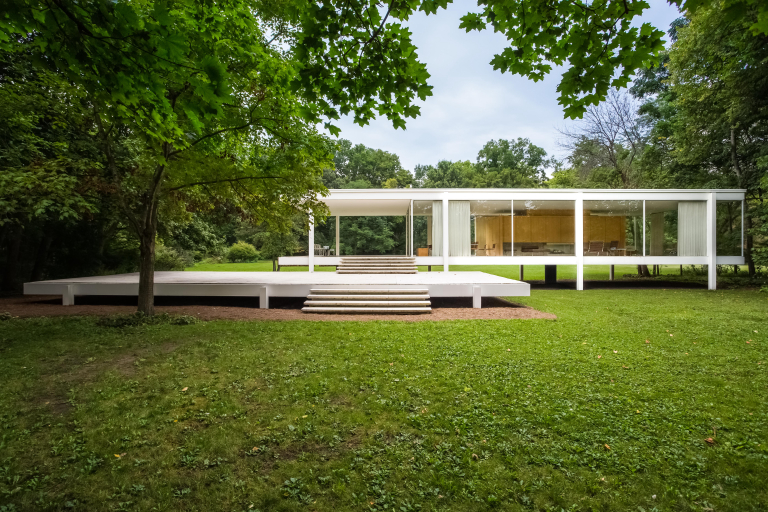 Just in the past month, they topped two "most endangered" historic sites lists in Oklahoma and Chicago. 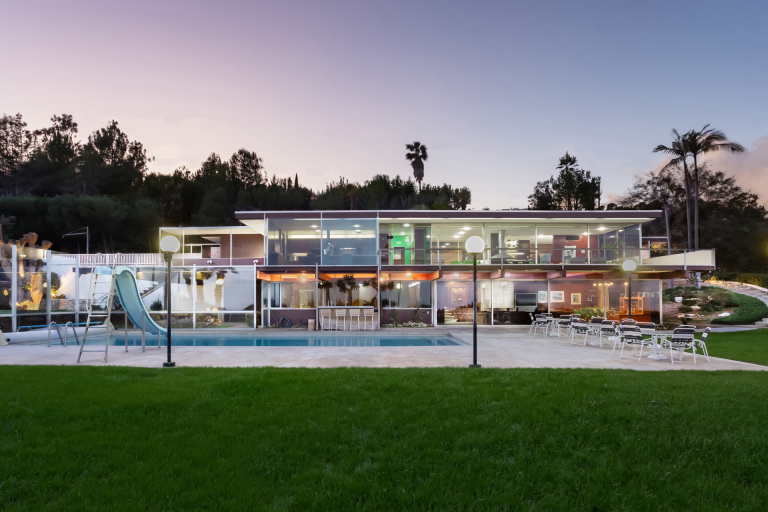 Fifty years after his family fled the Austro-Hungarian Empire, prolific shipbuilder John Rados purchased a large, hillside lot overlooking the Port of Los Angeles. 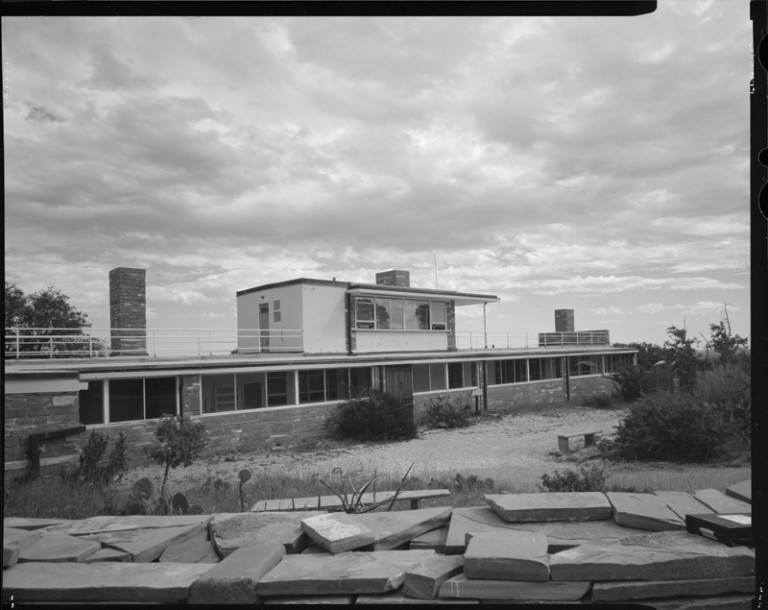 Included on America’s 11 Most Endangered Historic Places for 2018 by the National Trust for Historic Preservation, the Ship on the Desert is a little-known piece of Texas architectural history. 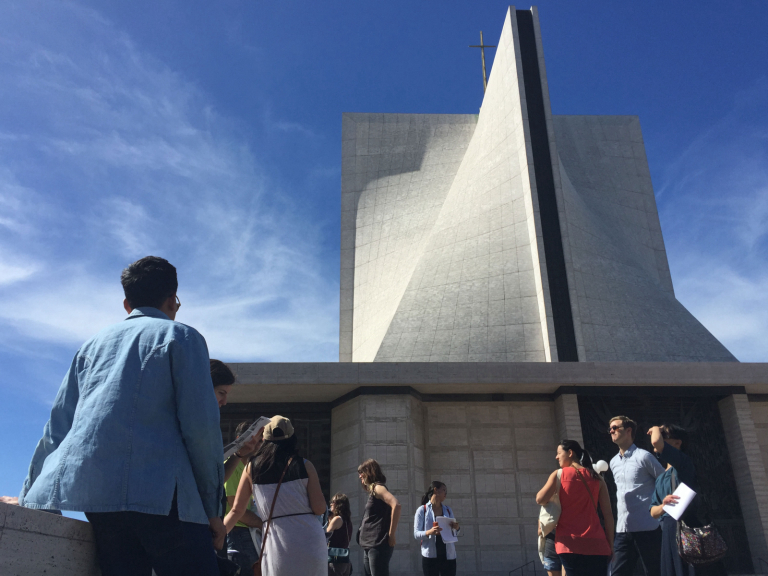 The Docomomo US Northern California (NOCA) Chapter is pleased to offer a travel grant for one student or emerging professional to attend and participate in the Docomomo US National Symposium 2019 in Hawaii from September 25-28, 2019. 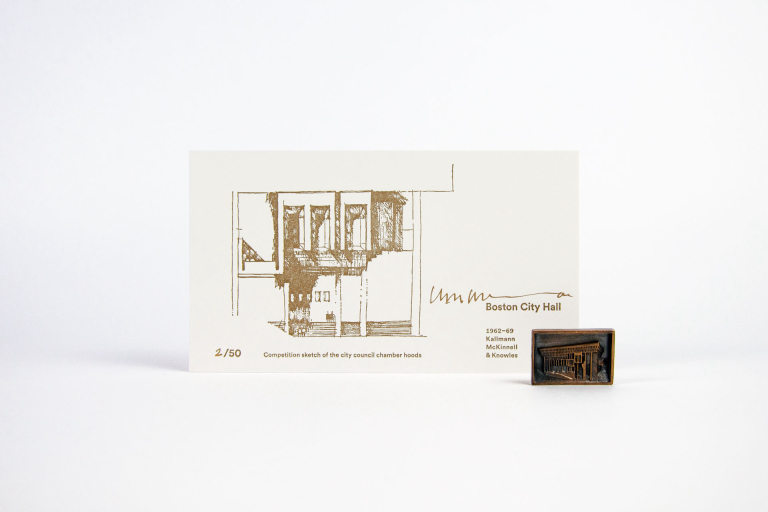 Boston City Hall is 50 years old and thriving. 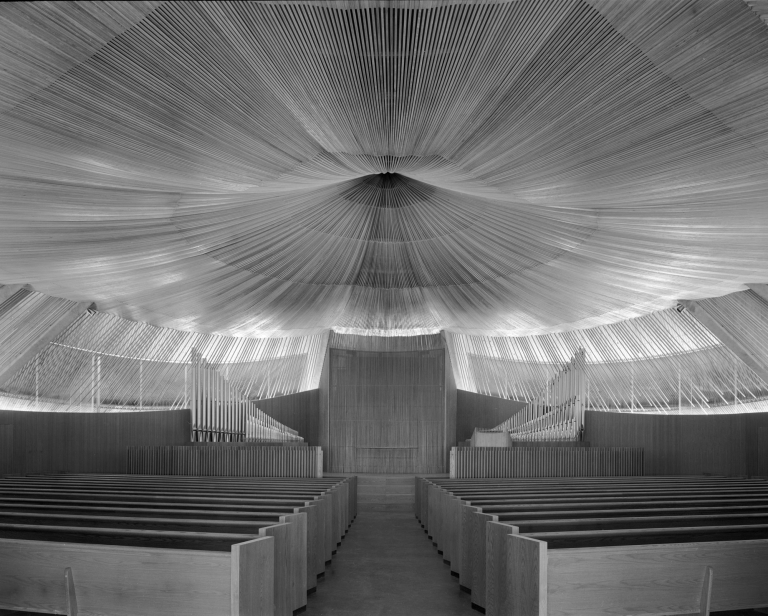 Designed by Kallman McKinnell & Knowles after Gerhard Kallmann and Michael McKinnel entered and won a design competition, the new city hall was well-received among architectural critics but was polarizing for city residents. 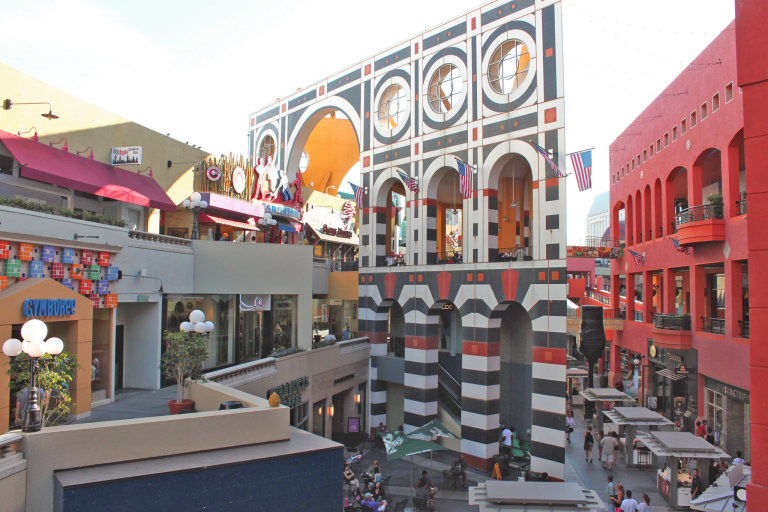 Over the years, the building faced various threats ranging from alteration to demolition, but recently the city has begun to embrace its Brutal heritage. 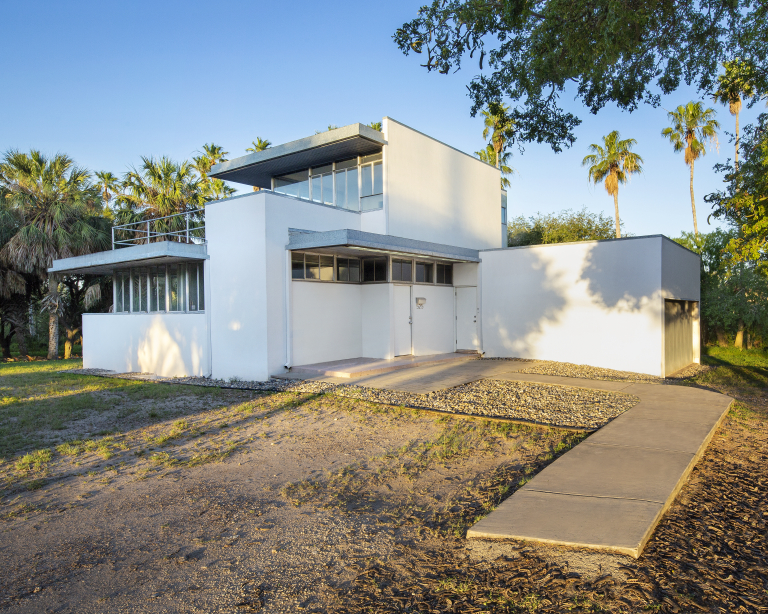 Down in Texas, a special collaboration is brewing to map modernism around the state. 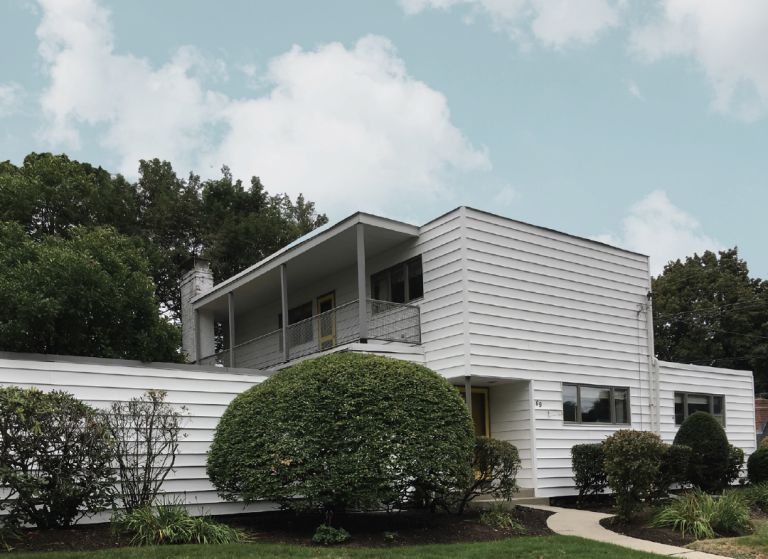 modTEXAS, Houston Mod, Mid Tex Mod, and Docomomo US NTX have joined forces to invite participants to seek-out subjects on a monthly theme using the #modtexas tag. 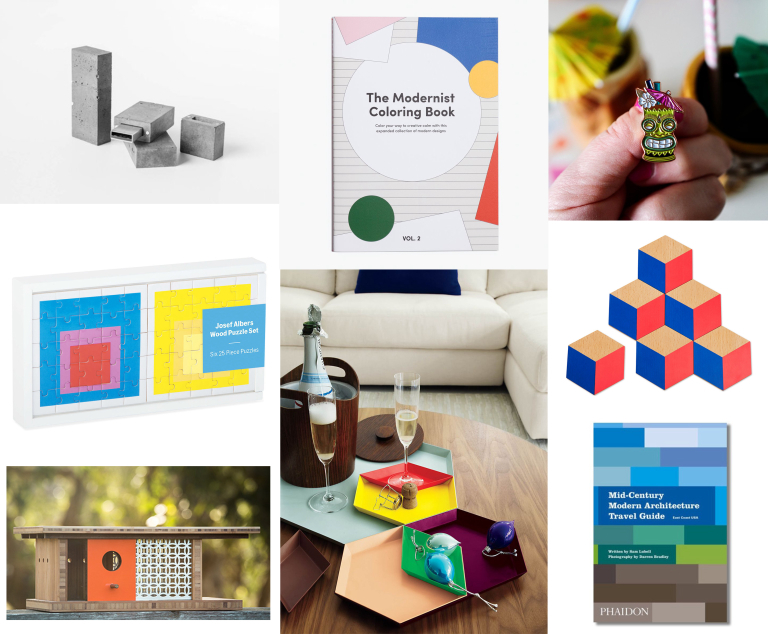 It's that time again and we've pulled together a few gift ideas that are now on our modern wish list. Reduce your screen time and read a book! 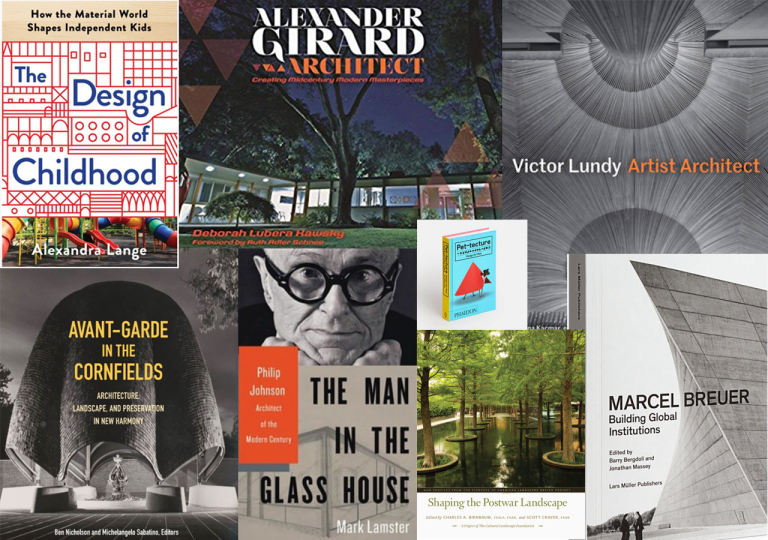 Docomomo US is pleased to present our annual list of notable books of 2018 and 2019. 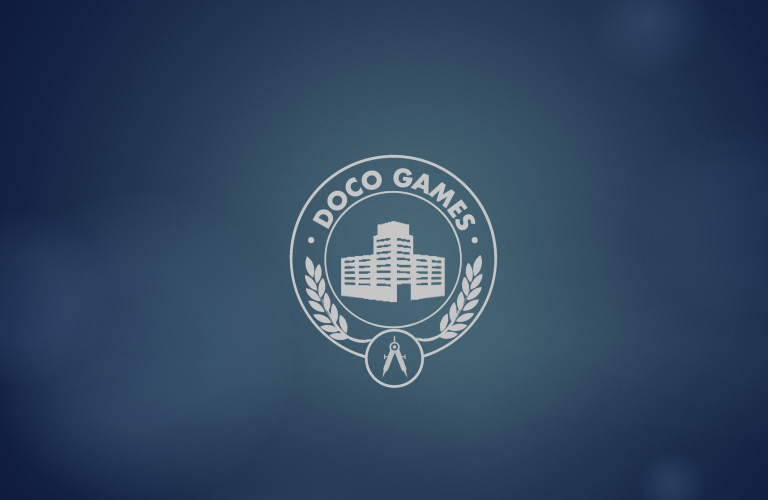 This year for Giving Tuesday (Nov. 27th), Docomomo US is launching its first ever battle for architectural survival with the “Doco Games.” The #DocoGames is a day-long tournament that features sixteen of Docomomo US’ biggest supporters fighting to save a building they love. 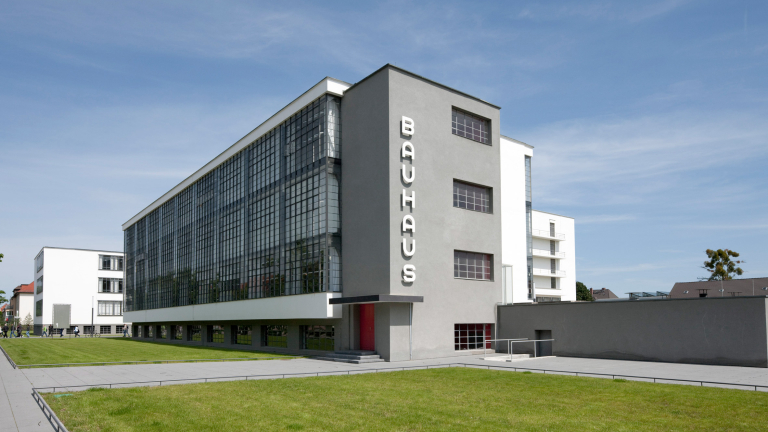 One of the most outstanding Modern building restoration projects of these last few years in Paris was completed recently. 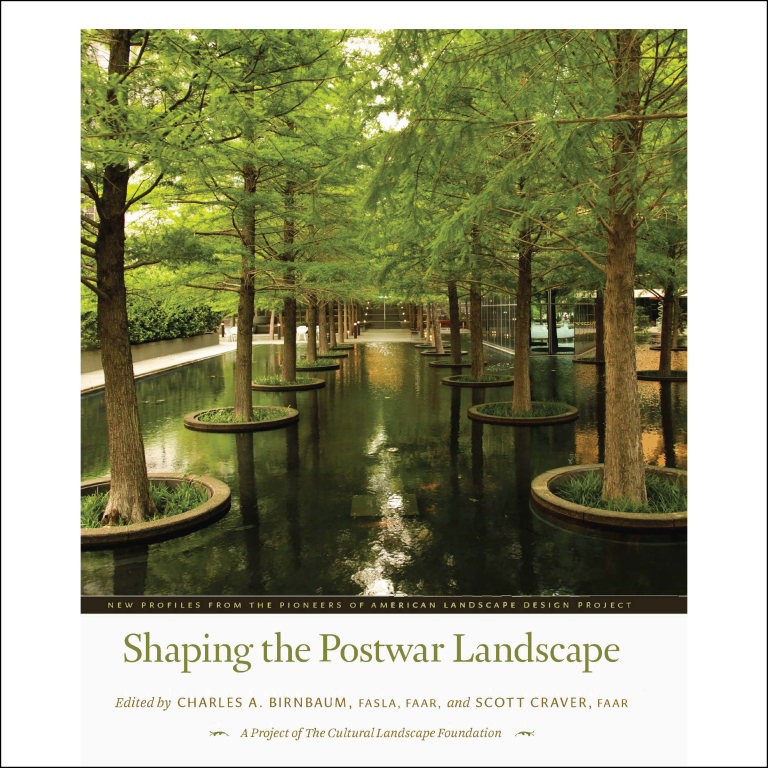 This book fills a serious void in the history of Modernism, portraying in handsome images and insightful words accomplishments that too few are aware of. 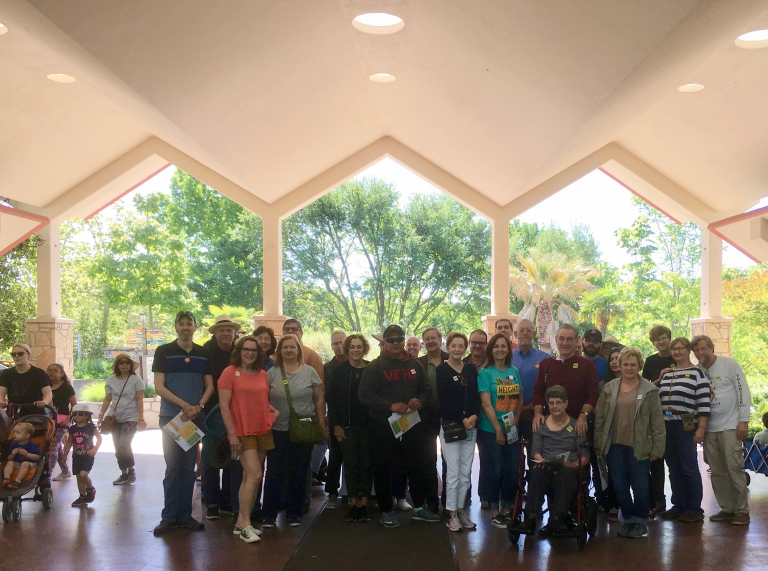 Teleport and see what tour goers explored across the country during Tour Day 2018. 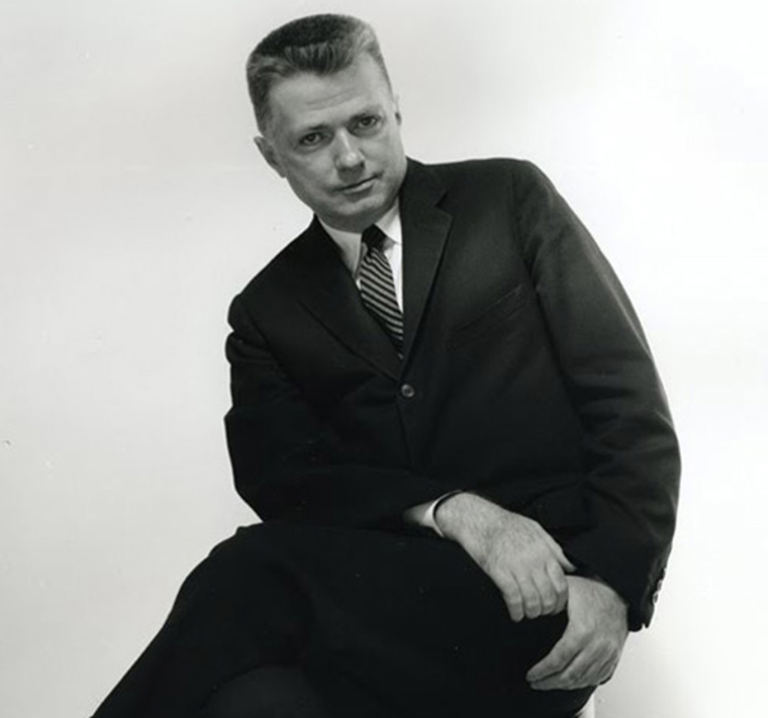 Liz Waytkus sat down with Kelvin Dickinson, president of the Paul Rudolph Heritage Foundation and Eduardo Alfonso, Exhibition Coordinator of Paul Rudolph: The Personal Laboratory now on view at the Modulightor Building in New York City. 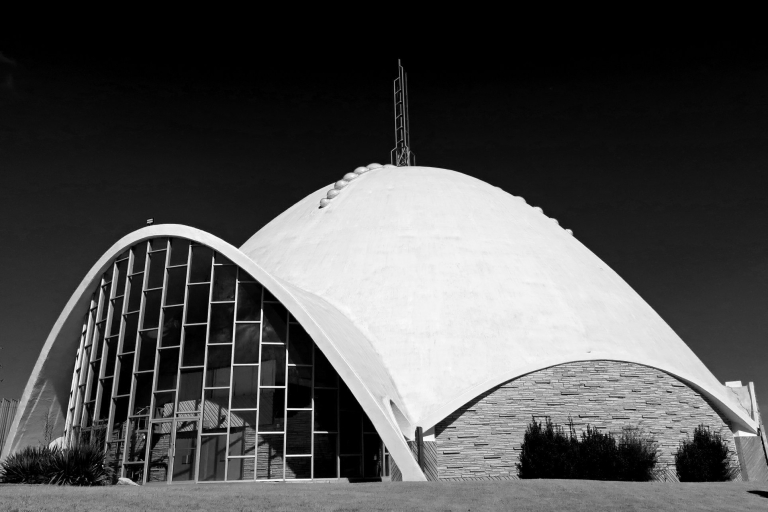 Set to be sold, the likelihood that the cathedral will be demolished is increased by its proximity to the upcoming CityPlace Burlington redevelopment project. 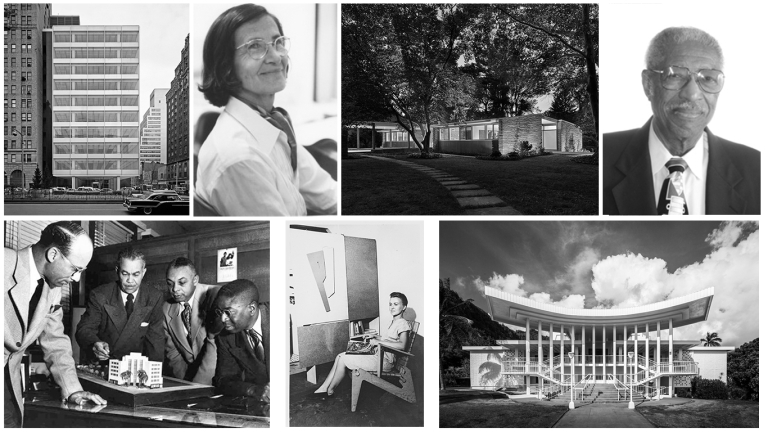 Docomomo US is hiring this fall. 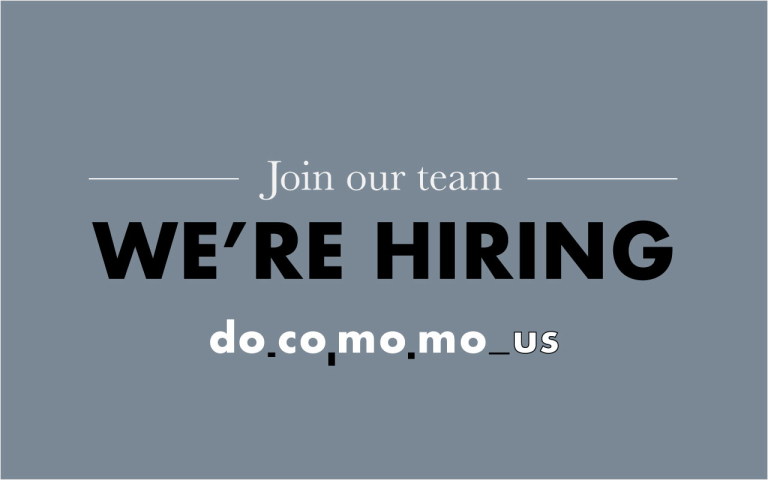 Come join our team! 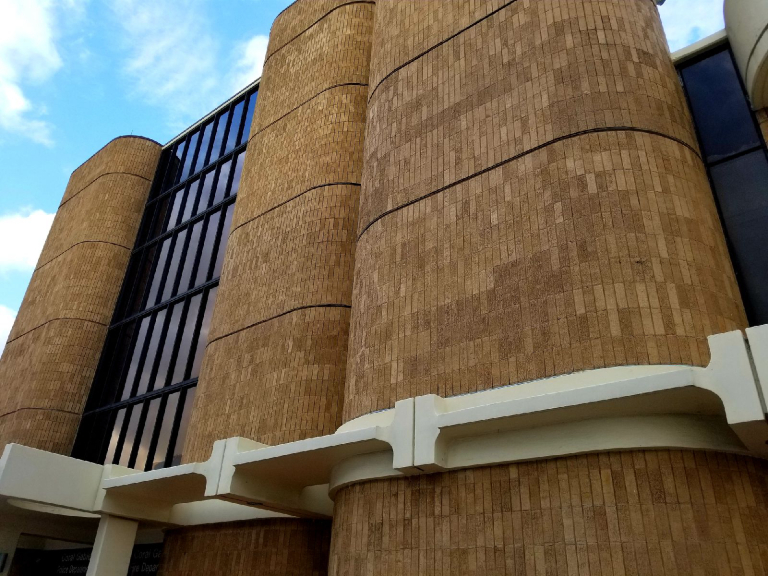 From the stages of iconic buildings to the sidewalks and plazas where we gathered, we hope you feel as inspired as we do after many enlightening conversations that took place in Columbus, Indiana. 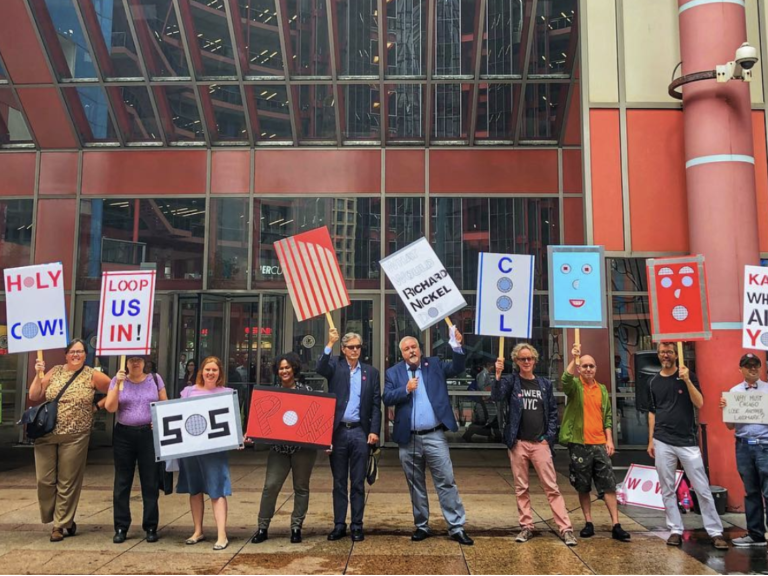 A rally was held on Sept. 25th in an effort to bring attention and gain support for nominating Helmut Jahn’s controversial James R. Thompson Center in Chicago to the national register. 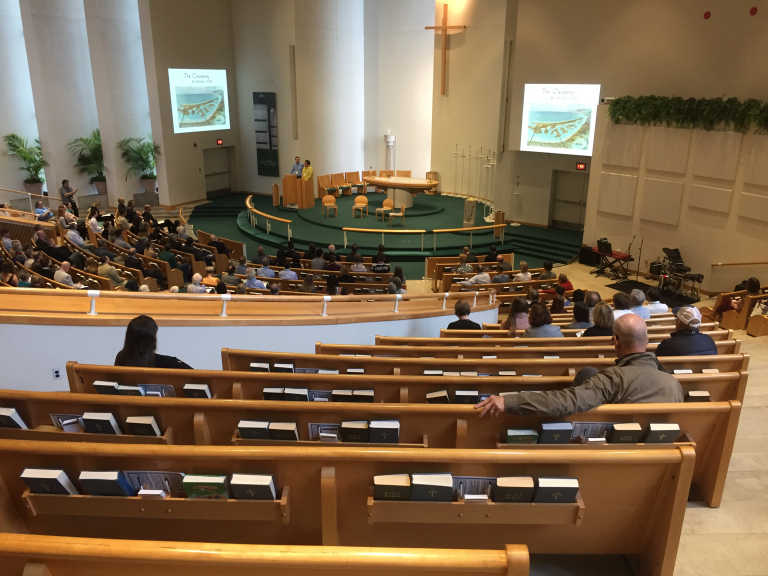 View the slideshow and sign the petition today! 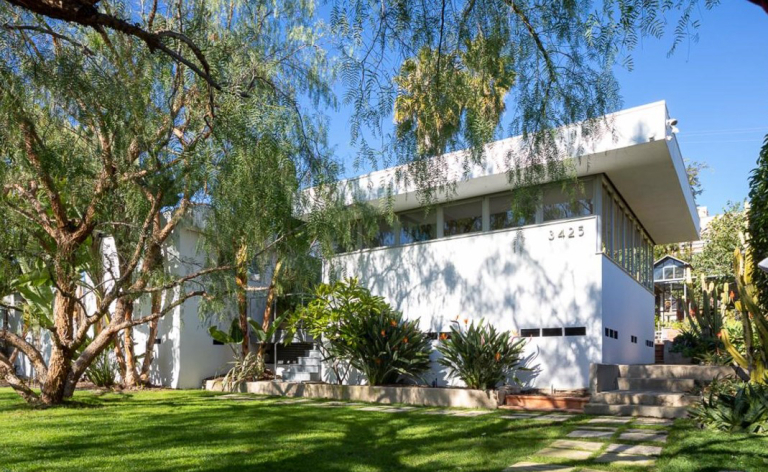 The house will hit the market on October 17th but has no historic protections and may face threats of alteration or demolition. 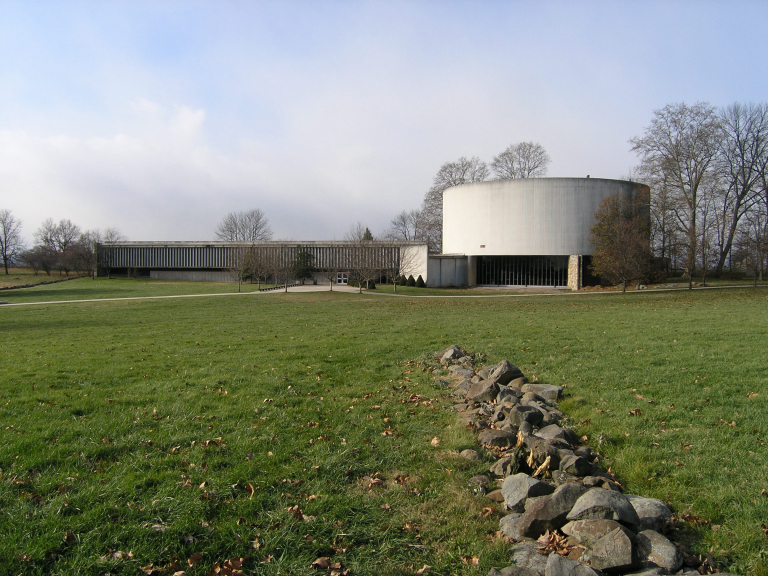 Docomomo US and the Recent Past Preservation Network (RPPN) former board of directors announce they have reached an agreement to transfer the remaining assets of the Recent Past Preservation Network. 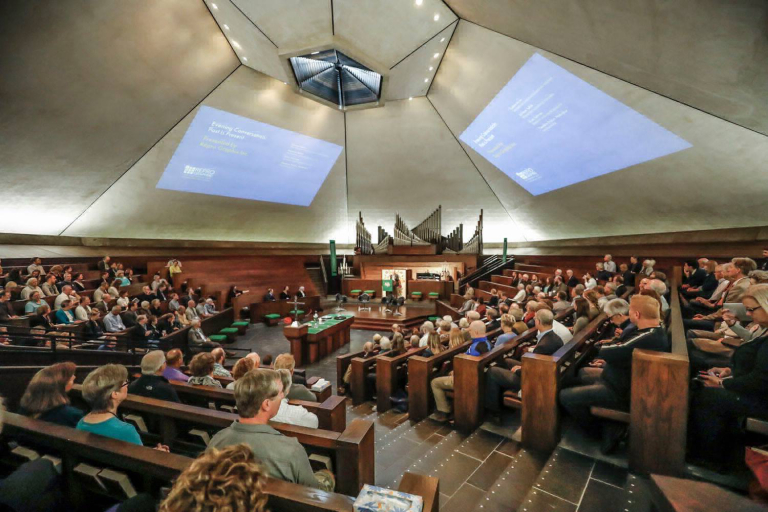 The Preservation Technology Dossier 14, featuring a collection of lectures put on by Docomomo US together with Docomomo International ISC-Technology at the 2015 National Symposium, is now published and available online. 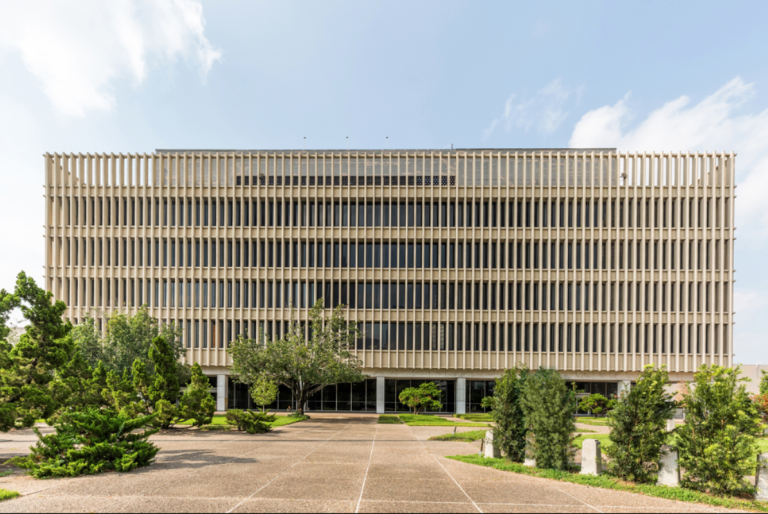 The Dallas firm of Pratt, Box & Henderson was the special topic of conversation on May 24th as over 120 aficionados of architecture and planning assembled to hear a series of talks about the influential firm. 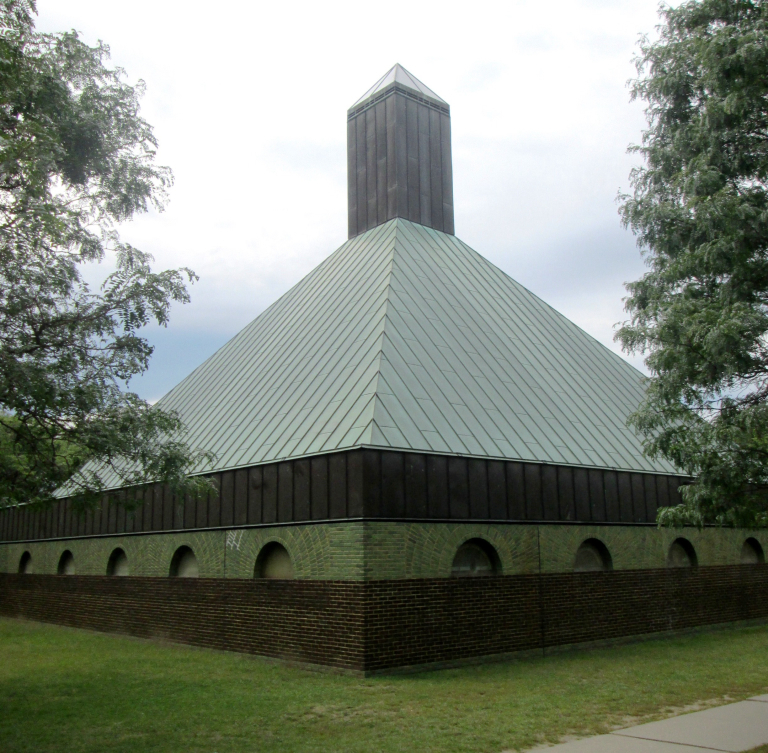 The original Selby Public Library, a.k.a. 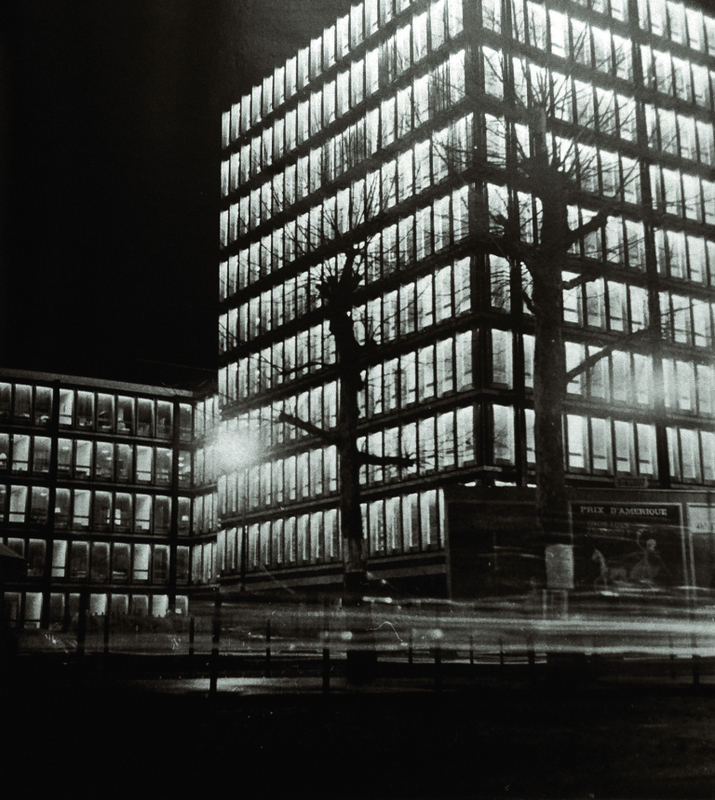 G.WIZ building is under threat of imminent demolition. 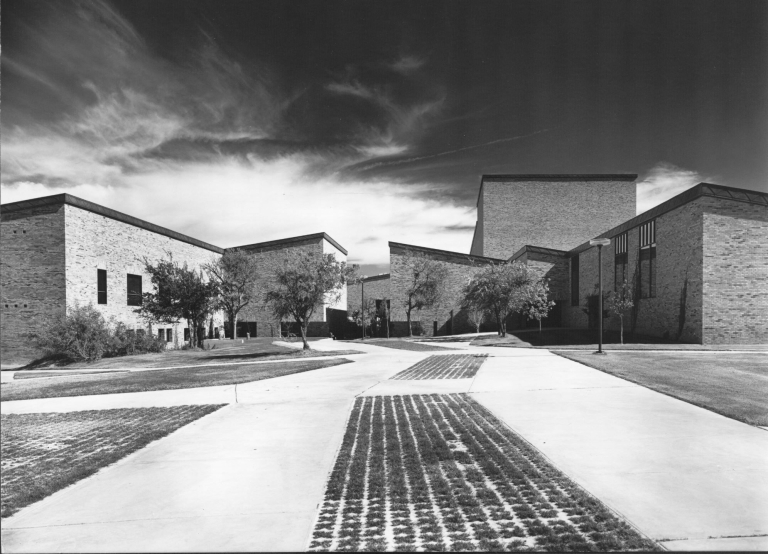 Show your support to #SavetheSelby. 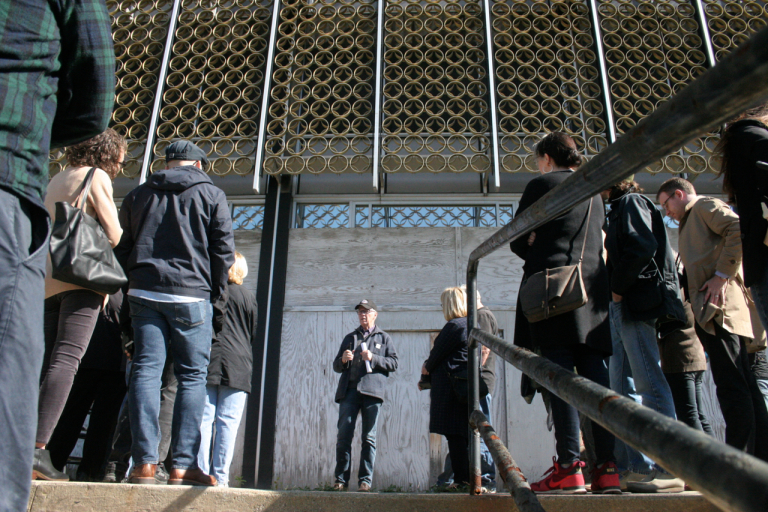 There's still time to register, join a tour, tell a colleague, and finish planning your symposium experience, but hurry - registration closes on September 19.
is facing the threat of demolition by developers.